This is part of a range of informative mugs that will educate and astound you with unusual facts and figures. 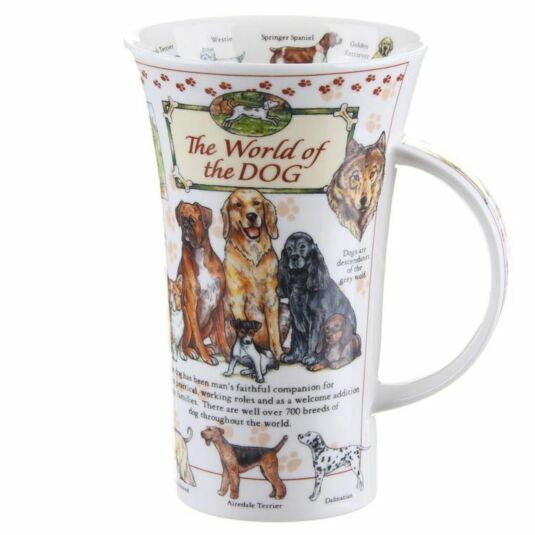 Their popularity inspired Dunoon to release these designs as fine bone china mugs in the Glencoe shape. Look at them whenever you have your hot drink and simply absorb all those facts! 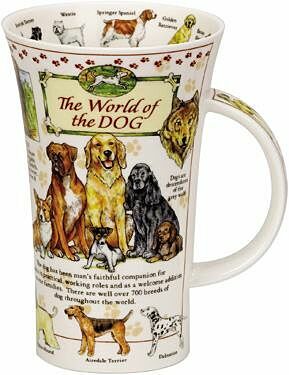 If you love dogs this mug is for you. It is packed with all kinds of information about human's best and most faithful friend.